Join us in congratulating Liqun Luo! 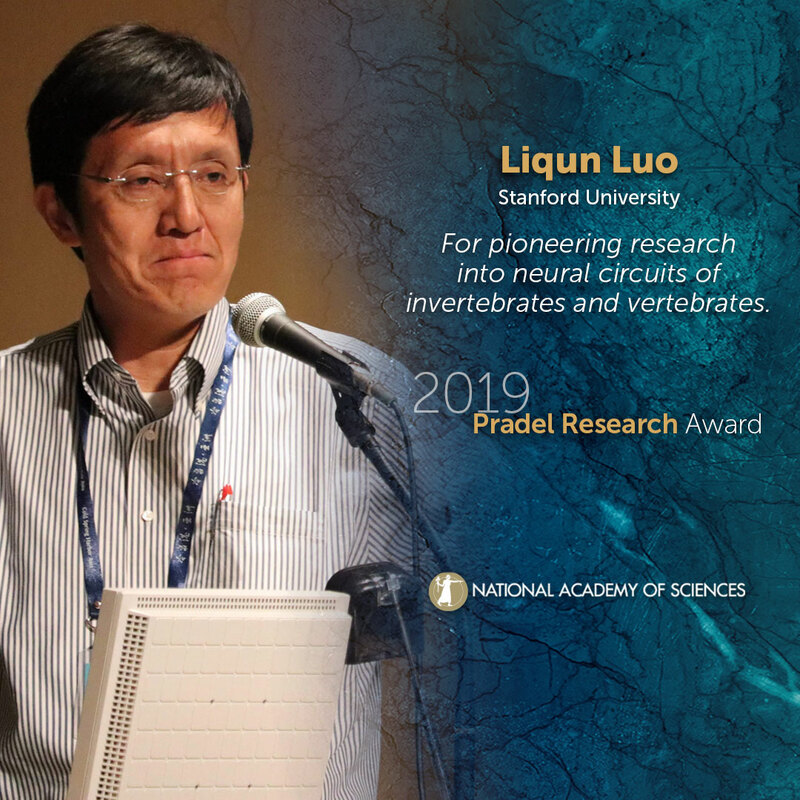 Liqun Luo, Stanford University, will receive the 2019 Pradel Research Award. Luo has conducted pioneering research, often using techniques of his own invention, to improve our understanding of how neural circuits in the brain assemble and how they are organized to allow information processing. One of Luo’s early achievements was the development of Mosaic Analysis with a Repressible Cell Marker (MARCM), a genetics technique for specifically labelling isolated mutant cells within an otherwise normal fruit fly, a model organism for genetics research. This allowed Luo to study single neurons within a complex brain, which enabled him to make fundamental breakthroughs in our understanding of the fly’s brain development. In particular, Luo focused on the olfactory system and has identified numerous genetic elements that control neuronal wiring and made the olfactory system as a model for understanding neural circuit assembly in all species. Luo has also extended his MARCM technique and other inventions to mice, and most recently has been able to map the wiring of complex mammalian neuromodulatory systems. The techniques developed by Luo and his lab have become standard throughout the field, while his committed role as a textbook author has helped to inspire the next generation of neuroscientists. The Pradel Research Award is presented annually to recognize mid-career neuroscientists whose work is making major contributions to our understanding of the nervous system. The award is presented with a $50,000 research award to designate to an institution of their choice to support neuroscience research. Please use the following sample social media posts and other materials to congratulate Liqun Luo.